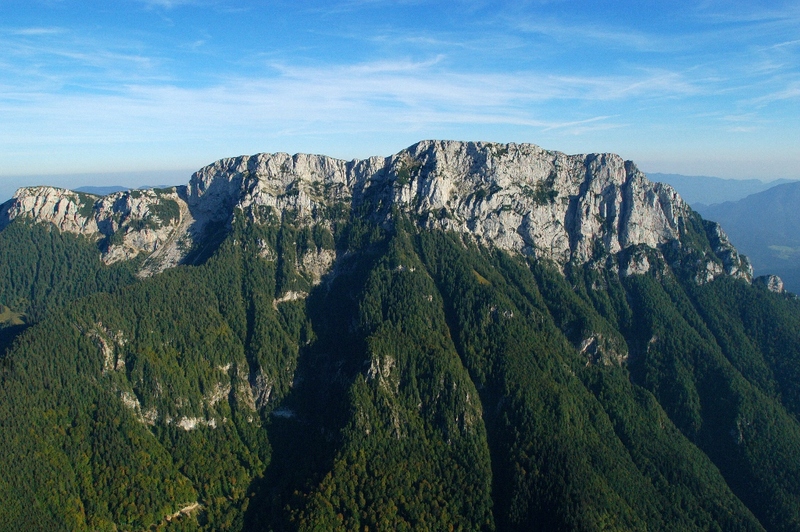 Numerous events take place in the Geopark Karavanke. Here you will find the most important ones! 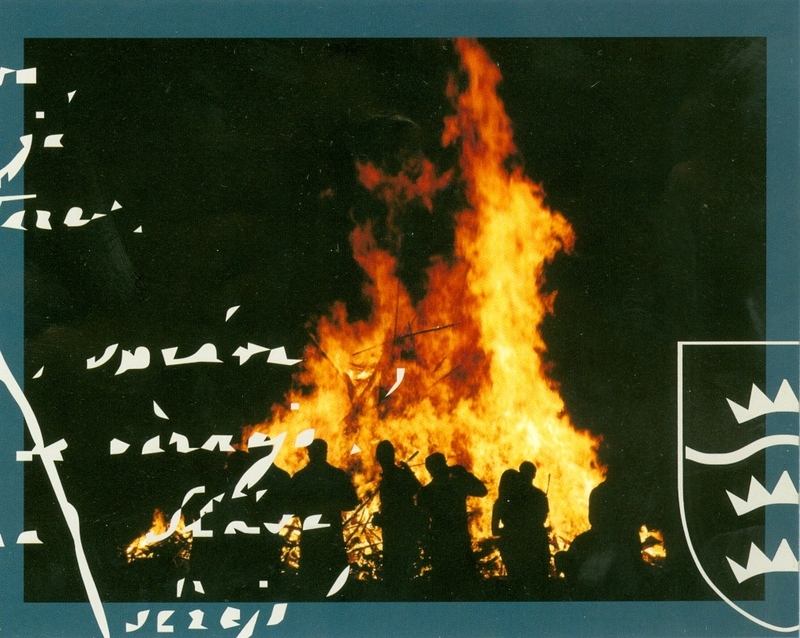 Every year in June the Ebriach celebrates traditional church day. The church of the Holy Joseph, according to oral tradition, is the oldest church in the wider district and is sometimes considered to be a famous pilgrimage church. The spring of the cold water (Kaltwasser) in the courtyard of the parsons house also meant never to be withered during prolonged periods of drought. People attributed to it miraculous healing power. For the first time this church was mentioned in the documents in the 2nd century. In year 1357 St. Joseph Baptist became her protector. All three altars are made of wood and in the main altar is a statue of the Virgin Mary with Jesus. Every year in the month of July in the Gothic church Korte the church day is celebrated.. Followed by dancing under a large linden tree.The mountain church of the Holy cross (Heiligen-Kreuz) was build at the end of Trögerner Klamm in year 1860 by owner of the surrounding land Pristovnik. Since that timethere is in Trögerner Klamm around the church the cemetery and the parsons house. A succursal church of the St.. Margarethen in Remschenig is supposed to be built around the year 1600. All three wooden parts of the altar were from the 17th century. The main altar is dedicated to St. Margaret, one of the side altar to St. Gregor and the other of the side altar to St.Gertrud. Every year in August at this church celebrates the church day. 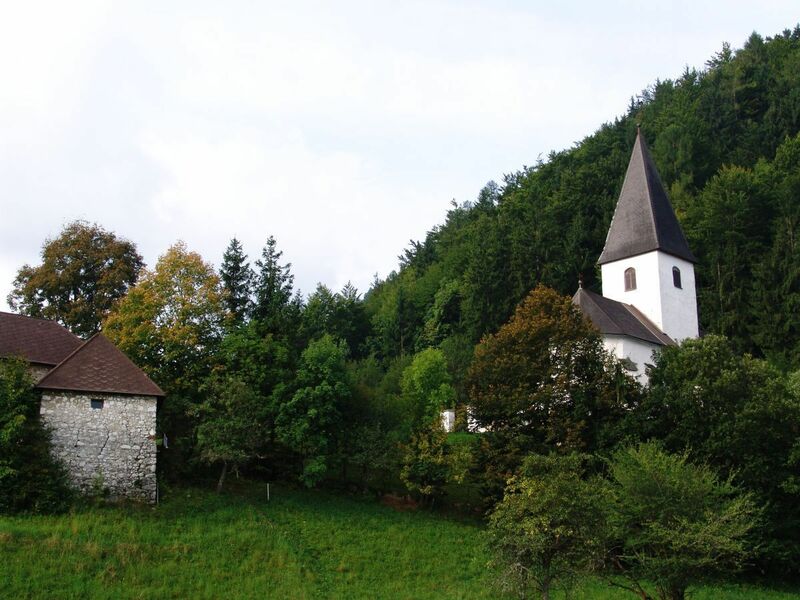 A succursal Church of St.Leonhard is one of the highest ones in its altitude in Carinthia and is located outside the region of the Valley Remscheniggraben. The church is surrounded by an iron chain. This chain was forged from Turkish horse bridles. The St. Leonhard is the patron of prisoners and refugees and assistant in animal diseases. In particular, it should be noted a cassette deck ceiling from the year 1760. The paintings are incomparably beautiful. The church and tower are Romanesque. In the 16th century it was built a side galley on the south side. This was also used as a tomb. One final stone shows a pigeon, the other a buck. 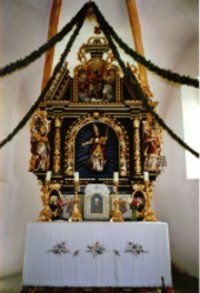 All parts of the altar are from the baroque and made of wood. The main altar originates from the middle of 18th century. Its ground plan is composed of two concentric circles. Worth seeing are especially the frescoes, which were discovered in year 1957, among them Madonna, who sits on a crescent with Jesus in her arms. The picture is framed with a typical frame with winding and twisted forms that were typical for the time of the late 16th century. 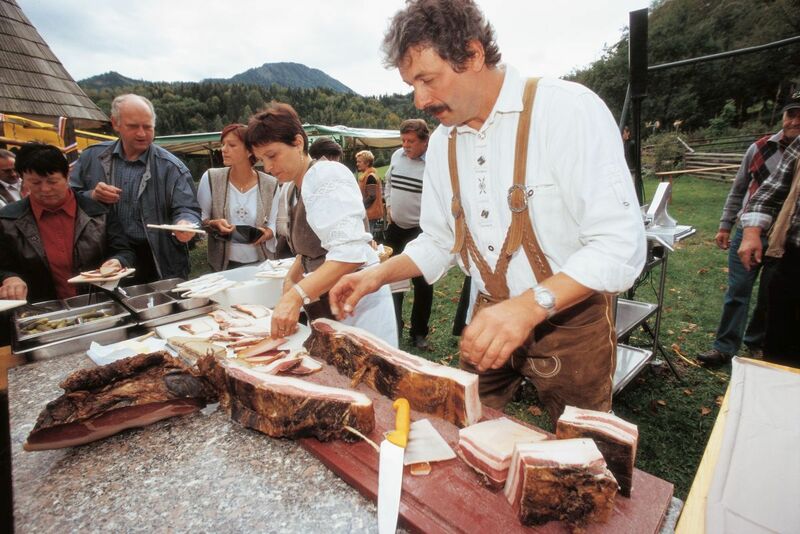 The Coppla Kasa Association (an association of farmers from Carinthia and Slovenia) offers products from its own production. Here you can taste honey, tea, liqueurs, brandy, sausages, bacon, pasta, wool and processed products! The festival takes place once a year in September in Bad Eisenkappel. 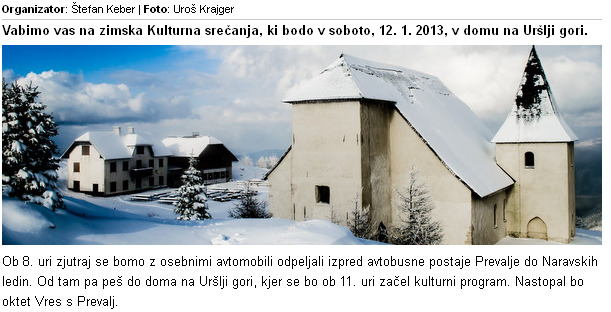 The winter event, Snow castles and sculptures of King Matjaž in Črna na Koroškem, takes place in the month of January, every year since 1993 on the plain Mintnek below the Peca Mountain. The event was until today visited by over tens of thousands of visitors. Groups of builders come from all over Slovenia, neighboring Austria and also from other European countries. 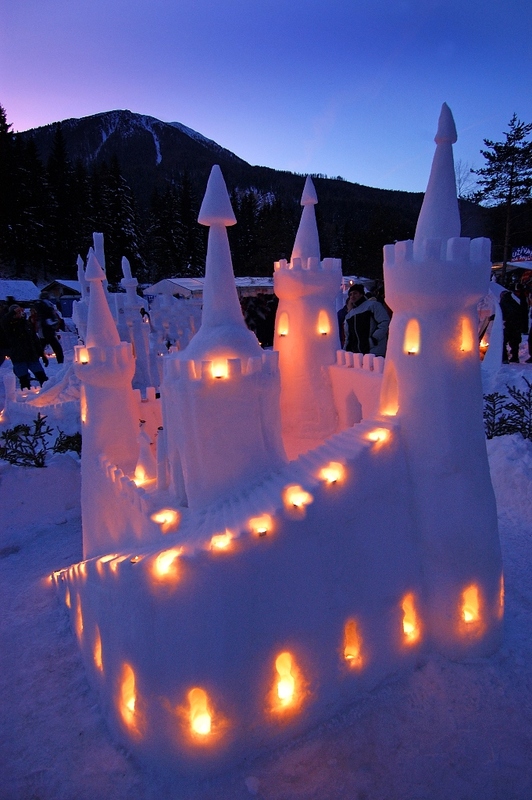 The main event is a competition of teams in building snow castles and sculptures. Three-day events is accompanied by a rich cultural and sports program, which is entirely related to the legend of King Matjaž. By building castles we enjoy a relaxed and playful winter day at the foot of the Peca Mountain. The Municipality of Črna na Koroškem have since the independence of Slovenia organized a meeting of statesmens and stateswomans under the Najevnik linden tree (Najevska lipa)- the oldest tree in Slovenia. 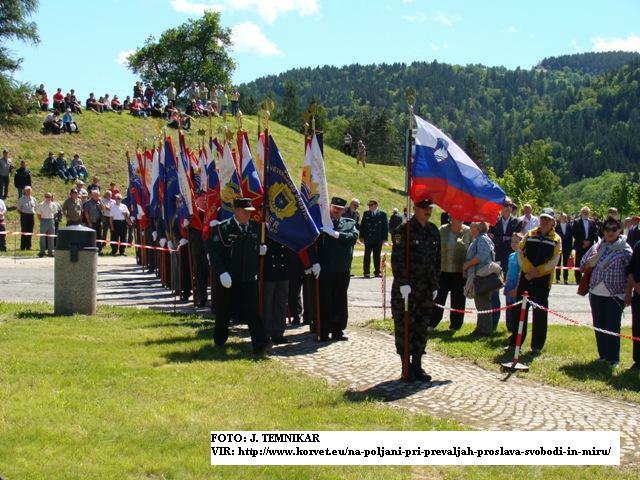 Each year, under the mighty treetop of Najevnik linden tree statesmens and citizens of the Republic of Slovenia meet. This is a social meeting where they present traditional crafts and skills, the activity of primary schools, clubs in the city and various cultural achievements of the locals. The meeting was conceived with a rich cultural program and the local cuisine. This meeting takes place late in June or early in July. In Črna na Koroškem, under the leadership by Tourist society of Črna na Koroškem and in cooperation with other societies and individuals they are organizing the traditional Tourist week of Koroška each year in the second half of August. This is a traditional event, which is among the oldest in Slovenia and has been running since 1955. Every year they have organized 60 to 70 cultural, ethnographic, sports and entertainment events, exhibitions, lectures and stage performances. The central event is an all-day fair, which attracts large crowds of people. 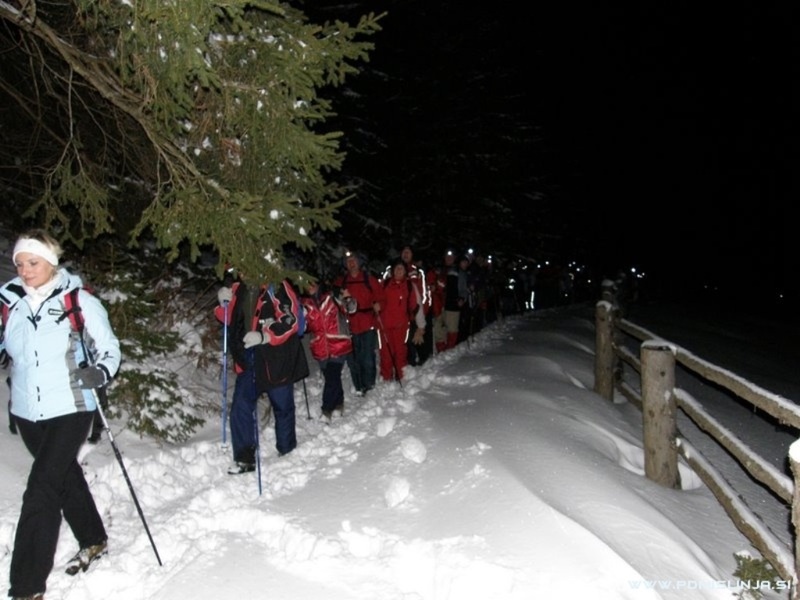 The Mountaineering society of Ravne na Koroškem has since 1993 at the end of December organized a night hike over the mountain in memory of the way through the Koroška mountains, which in year 1932 passed by wife of Prežihov Voranc with her two daughters to Eisenkappel to meet her husband and father, writer Lovro Kuhar – Prežihov Voranc. Hikers come with buses or private vehicles to the farm Lipold in Koprivna. From there they go on foot, by the light of flashlights, towards the Sun in direction to Koprivna in Austria, where at midnight the hike in the Raztočnik farm ends. There are waiting buses or personal transportation for hikers to get back home. An alpine descent from under the Raduha Mountain is a special game with special rules, which has already been organized for 54 years by GRS Koroška and the Črna na Koroškem Alpine Club. It is a winter ride in pairs, a combination of walking, downhill skiing and skiing on the difficult terrain that starts in the mountain hut at Grohot, leads to the foot of the Raduha mountain, to the rock jump and then back to the hut. The event was well-known among mountain rescuers, off-piste skiers and alpinists from Slovenia, every year it attends about 50 daredevils, including also the representatives of feminine. Holy Mass with the blessing of the wine and the opening of the Festival of wine with rich cultural and culinary program. 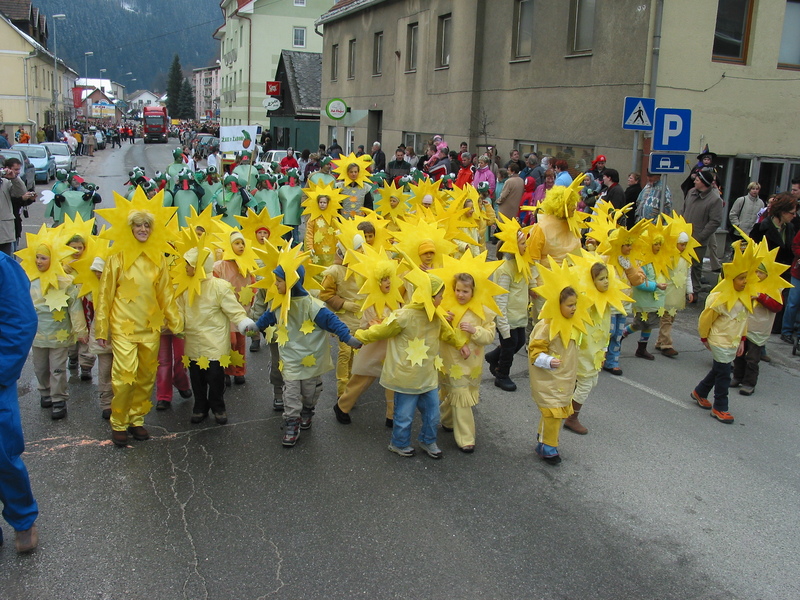 The Koroška traditional Carnival in Kotlje has been running since 1978 and is attended each year by large numbers of visitors from all over the Mežica Valley. The event is known for group masks on carts, which are travelling along the main road from the Rimski vrelec to the village centre. The fair is organized by the Tourist Association Ravne na Koroškem in the parking lot of Sports Centre. 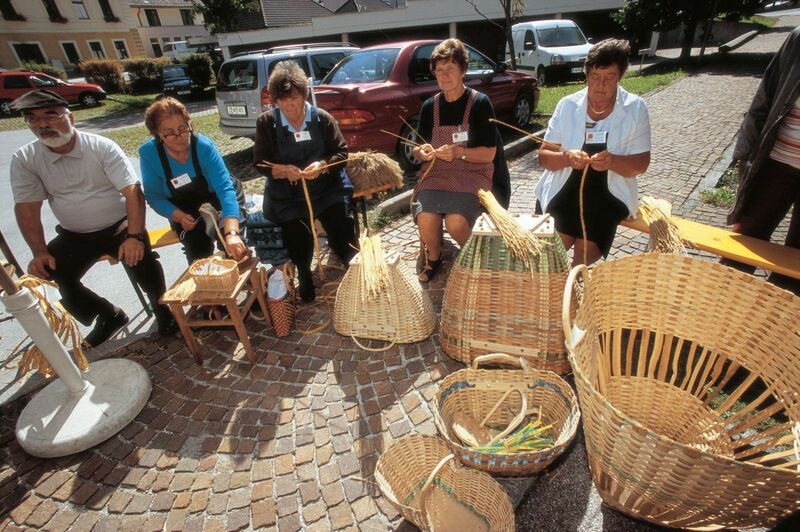 Each year the fair visit mass trades folk from all over Slovenia, what also attracts people from the surrounding towns. This fair takes place two weeks before Easter. The celebration of Midsummer Day is organized by the Tourist Association Ravne na Koroškem. 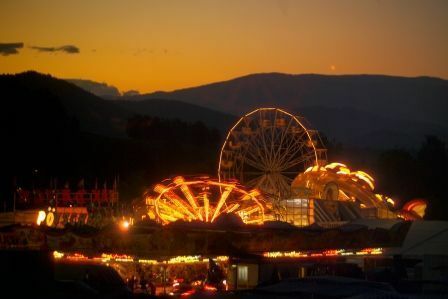 The event attracts crowds from the Koroška region, since this event is every year diversify with funfair and a band. The event takes place on the outskirts of the village Javornik (main road Ravne-Kotlje) in the large parking lot at the entrance to the village. The event has become a tradition, on the night before May Day. The days of city Ravne na Koroškem are organized by the Institute for culture, sport, tourism and youth activities, the tourist Office Ravne and the municipality of Ravne na Koroškem in the parking lot in front of the swimming pool complex. All other events are taking place in the vicinity of the city Ravne in participation of interested clubs and caterers, who create their own short programs. 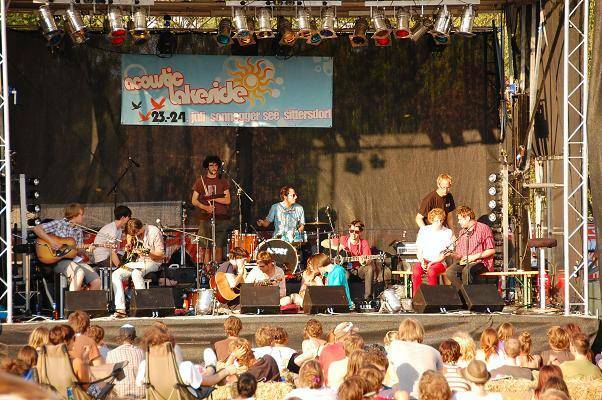 The event takes place at the end of August since year 2002. 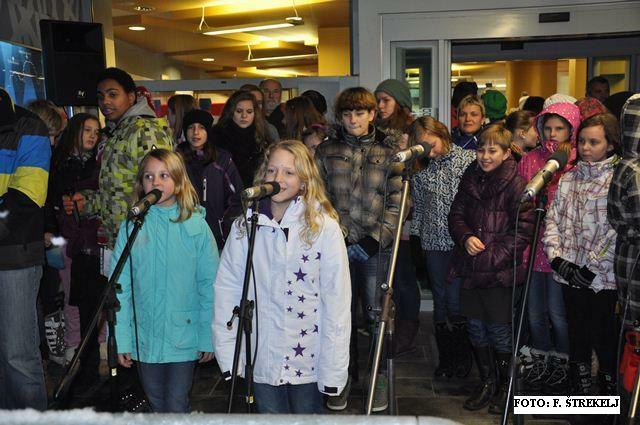 The Events take place in the second half of December in the city centre of the Municipality of Ravne na Koroškem. Traditional closure of the old year is organized by the Institute for culture, sport, tourism and youth activities. The event is diversify with magnificent fireworks. The traditional New Years Eve run is organized by the Tourist Association Ravne and is each year visited by masses. 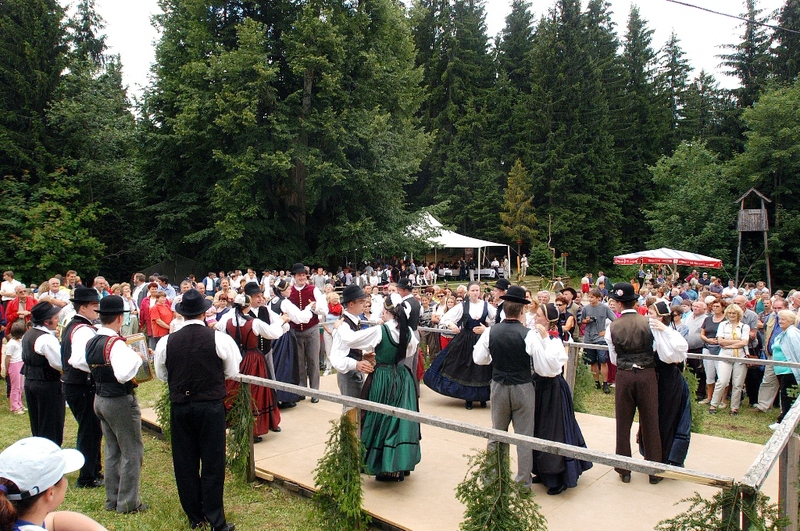 The event takes place around the village of Javornik. They are dedicated to the memory of slovenian writer Lovro Kuhar-Prežihov Voranc and his brothers Ivan, Alojz and August, which have left a significant mark on both the local as well as in the Pan-Slovenians and the wider area. Held every year in the second half of October so that every day of the week in Kotlje or in the vicinity happening at least one event. The Cultural Association Svitanje from Ravne na Koroškem in celebration of the National Day have been preparing a traditional event-folk singing under the linden tree, which takes place in the garden of the Lečnik Inn. 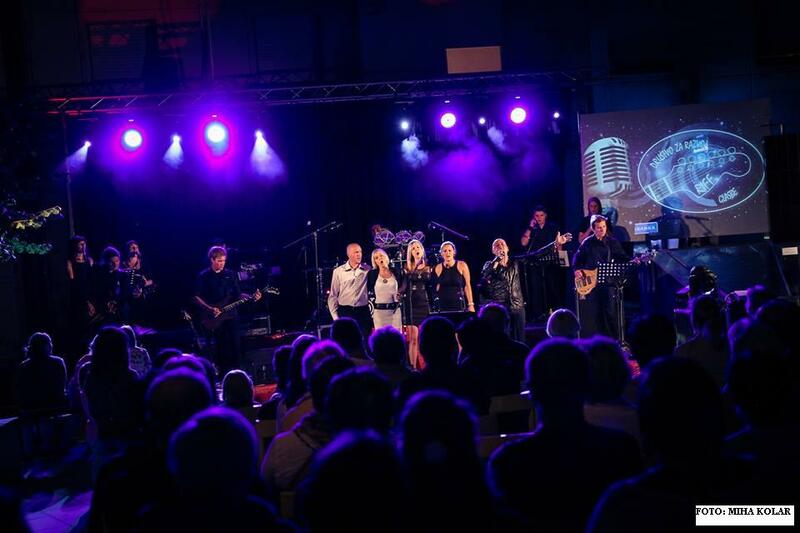 The traditional meeting of choirs from Bleiburg to Dravograd is the oldest form of cooperation and socializing along singers from both sides of the border. It began in October 1966 at the initiative of the conductor and musician Mr. Tone Ivartnik, after whom this Meeting is named. The name comes from a song from Bleiburg to Dravograd for which there are two well-known cover songs, which are the work of Luka Kramolc and Janez Petjak. In the context of an event Week of sport in Ravne, which is organized by the Association of Sports Clubs Ravne and takes place at the end of May, has traditionally takes place also a mountain run on the Naravske ledine. Start is at the monument of Prežihov Voranc at Preški vrh, a finish line at the hut of Mountaineering society Ravne (1,072 m altitude). Run length is approximately nine kilometers in altitude difference of 600 meters. The Mountaineering Association Ravne has every year in the second half of December organized a night hike -Over the mountain to his father. The meeting place for hikers is in Ravne na Koroškem, from where buses take hikers to Koprivna in the municipality of Črna na Koroškem. From there, they continue their journey on foot, first to the farm Kumer and then cross the border at the border crossing of Luže. 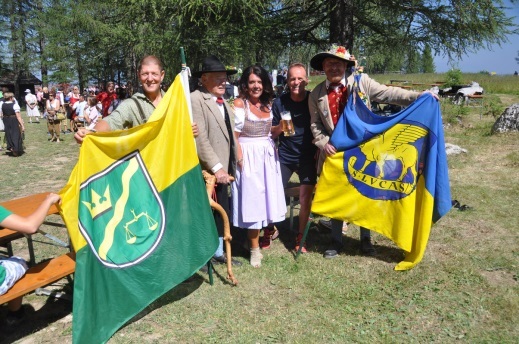 The trail leads them on to the farm Čemer, where for the hikers await foreigners from Carinthia with a rich cultural program and refreshments. The route ends at the Raztočnik, about eight kilometers before Bad Eisenkappel. There hikers go to buses and return to Ravne. For the safety of hikers in addition to the hikers themselves mountain rescuers and guides from Mountaineering Associations take care. The annual celebration of Midsummer Day in Javornik on the eve of May Day. The event is diversify with funfair for children, catering, band and fireworks. This is a family friendly hike in June, taking place on the Friday before bonfire night. 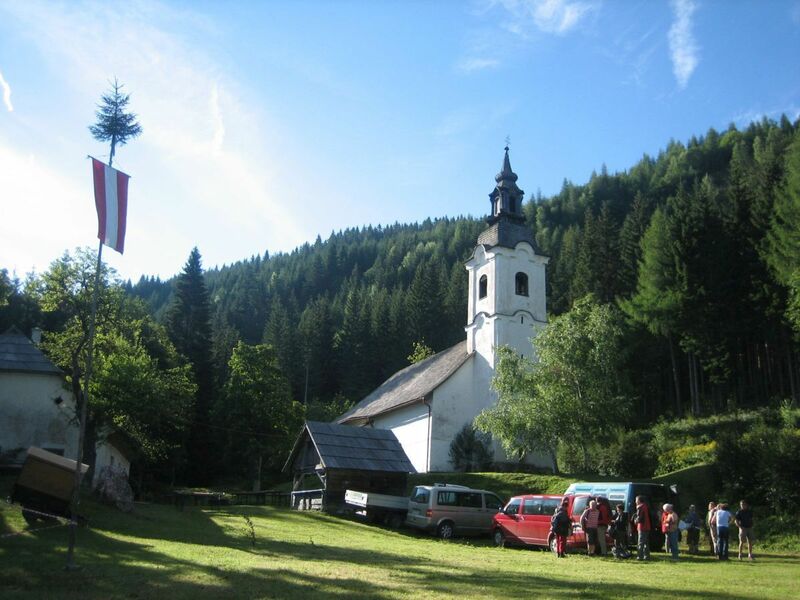 The families get together at the church of Leše, where the hiking on the mysterious trails of the Sorry Wives (Žal Žene). On the way there are secret hints left by the Sorry Wifes and the kids find them, collect them and follow them. Before they climb into the overgrown world of their home there is a rest stop where the hikers can refresh themselves with a fairy drink prepared for them by the Wives. The trail of quiet expectations is rewarded as the children attract the Wives with a song. The Wives tell them where and how they live and say goodbye by giving them special small fairy pouches. +386 (0)41 77 81 91 – Klavdija. This is a family friendly hike in June (friday before bonfire night). On the way there are secret hints left by the Sorry Wifes and the kids find them, collect them and follow them. Before they climb into the overgrown world of their home there is a rest stop where the hikers can refresh themselves with a fairy drink prepared for them by the Wives. The trail of quiet expectations is rewarded as the children attract the Wives with a song. The Wives tell them where and how they live and say goodbye by giving them special small fairy pouches. DATE 8th of February at 12 noon. This are traditional gatherings in June and December organized by the Mountaineering Society Prevalje. 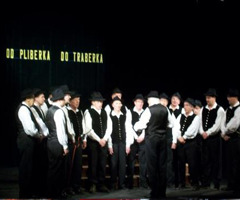 This is a traditional meeting of choirs from Pliberk to Traberk and it represents one of the oldest forms of cooperation and socialising of singers from both sides of the border of Koroška. It all started in October 1966 under the encouragement of musician and conductor Tone Ivartnik who named the gathering after a song From Pliberk to Traberk. Two versions of this song exist, both of which are the work of Luka Kramolc and Janez Petjak. 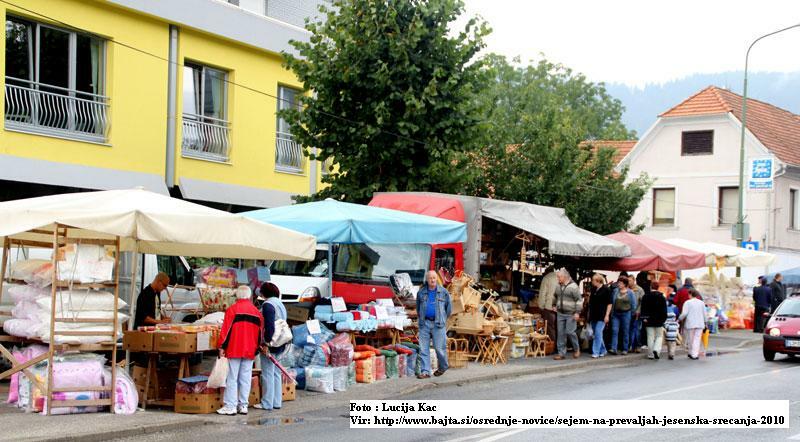 The Wednesday fair in the time of the Fall gatherings is organized under the community of Prevalje. 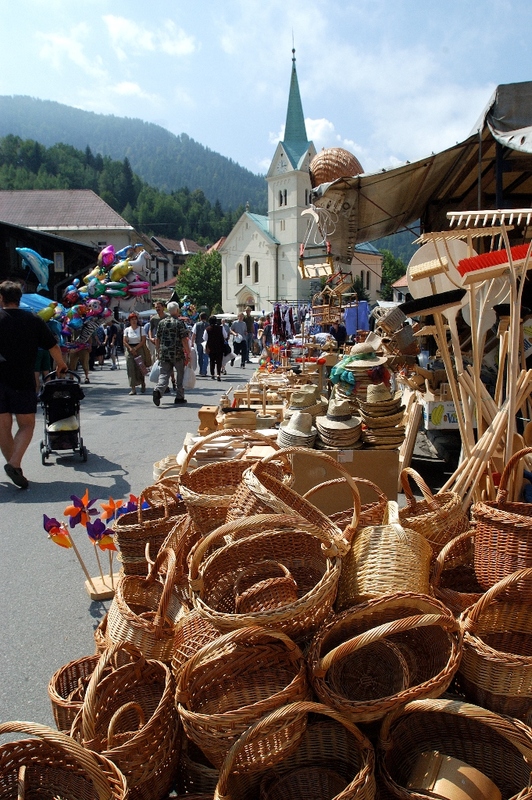 Every year the fair is visited by numerous salesmen and craftsmen from all over Slovenia which also attracts a large number of visitors. This is one of the strongest and most well visited events of the Fall gatherings. A cultural – artistic event in November to honour the compatriot dr. 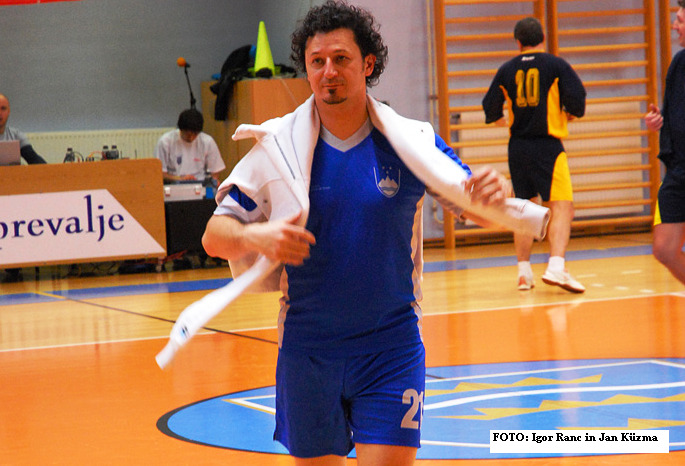 Franc Sušnik on his birthday. The event is organized by the cultural society Mohorjan. 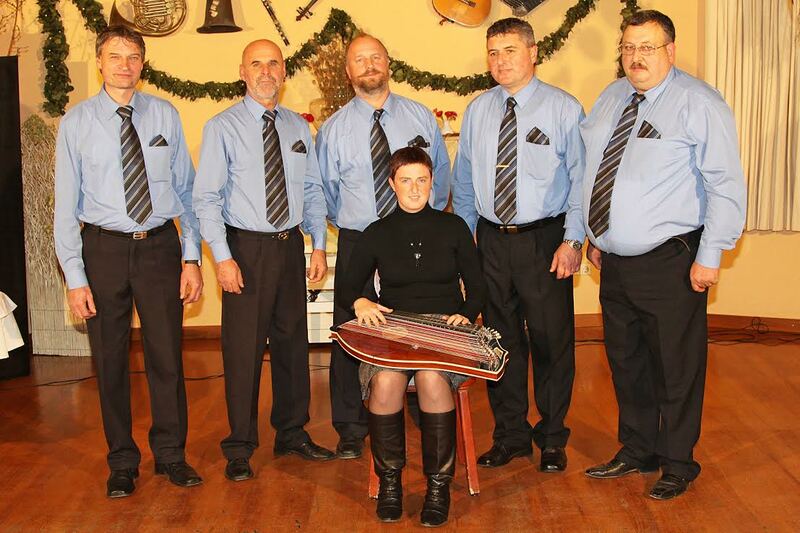 The public fund for cultural activities in Slovenia, with the local branch Ravne na Koroškem organizes an annual gathering of small vocalist groups from the wider area of Koroška in collaboration with the quintet Ajda (buckwheat) and the pub Brančurnik under the name: »D\\\\\\\'čva nabira brančur«. Cultural and entertainment events in December in the core of the town Prevalje in cooperation with the local school, kindergarten and cultural societies in the community. The goodbye to the old year traditionally takes place on the sports stadium Ugasle peči under the organisation of the community Prevalje and sports societies. The event is enriched with a musical programme and fireworks. International Traditional Painting-sculpture camp Art Karinta, which takes place annually to international amateur artists. This camp is organized by KD Art Karinta Prevalje. Purpose of their artworks is to enrich the environment. Some of them are also given to charities. An event visited by many crowds every year is a traditional event to honour the last fights of World War II on the European soil. It takes place on a Saturday before the 15th of May. The event takes place next to the monument of Freedom and Peace in the Memorial park of Freedom and Peace on Poljana. 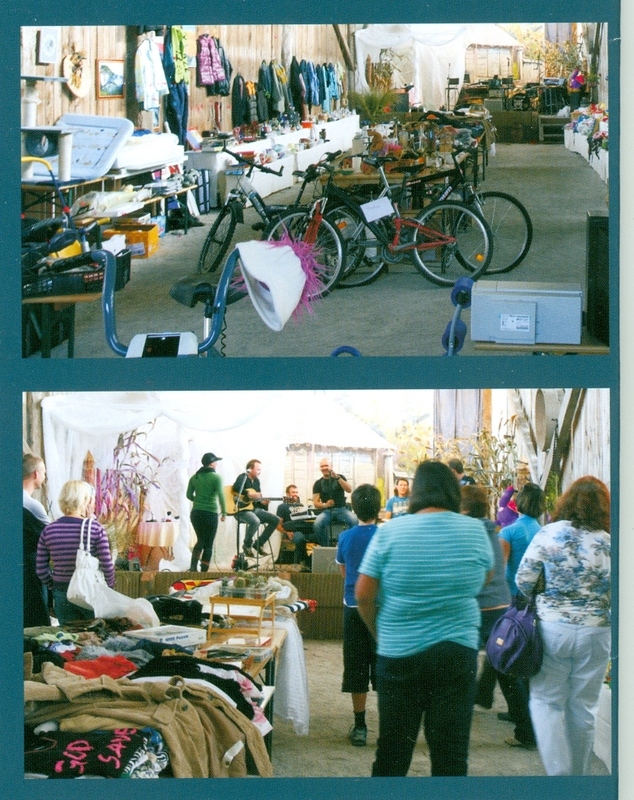 Under the double hayrack on Poljana the event gathers more and more buyers and viewers every year. Some people only come to see the event, others to buy but everyone comes to enjoy a pleasant gathering and talking under the hayrack. 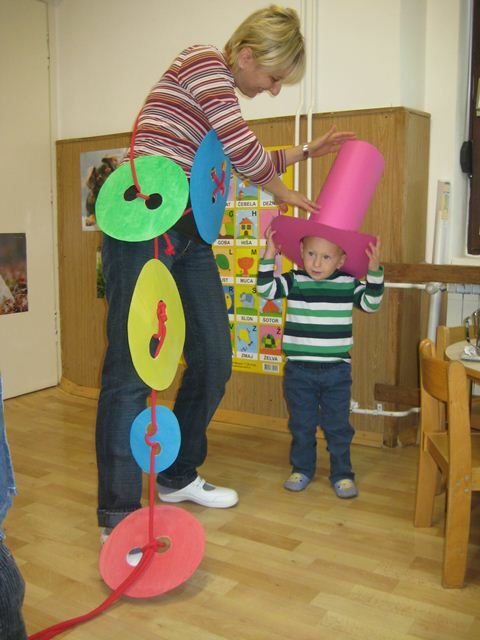 The fair is organized by TD Poljana. Takes place on the evening before the holiday. Organized by KD Šentanel. An event that takes place in October on the birthday of Luka Kramolc, a local, music ethnographic collector, writer, folk song organizer, composer and professor of music. 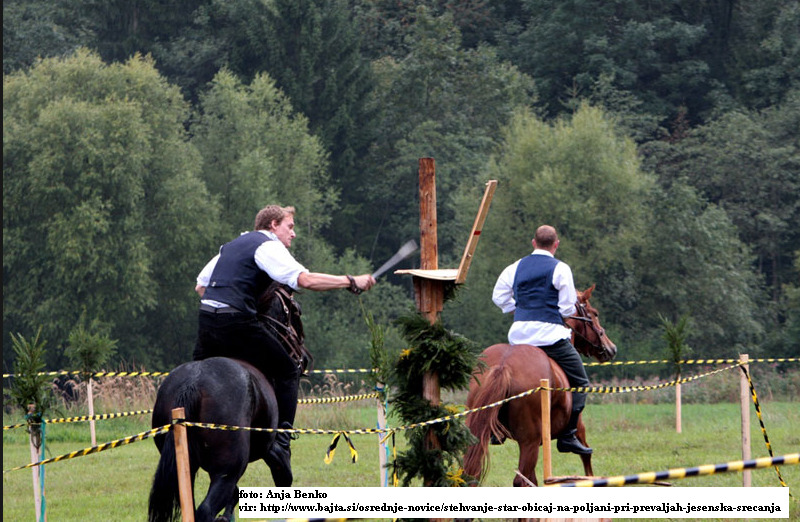 Organized under the traditional Fall gatherings of Prevalje the Horse-riding society Poljana – Prevalje organizes a presentation and demonstration of an old tradition – števhanje. Števhanje (German Kufenstechen) is an old tradition or better said an old folk boy game where riders try to break a little barrel placed on a stich during galloping.